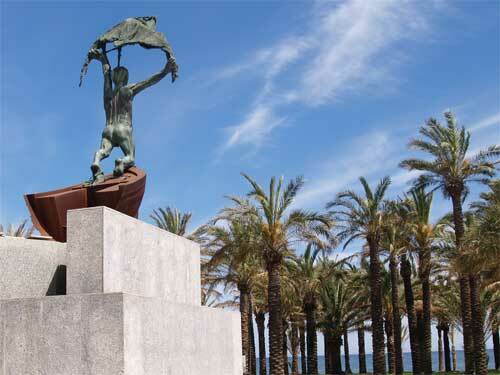 Torremolinos is one of the most popular holiday destinations on the Costa del Sol. We provide a little more information on this busy resort with extensive tourist infrastructure. 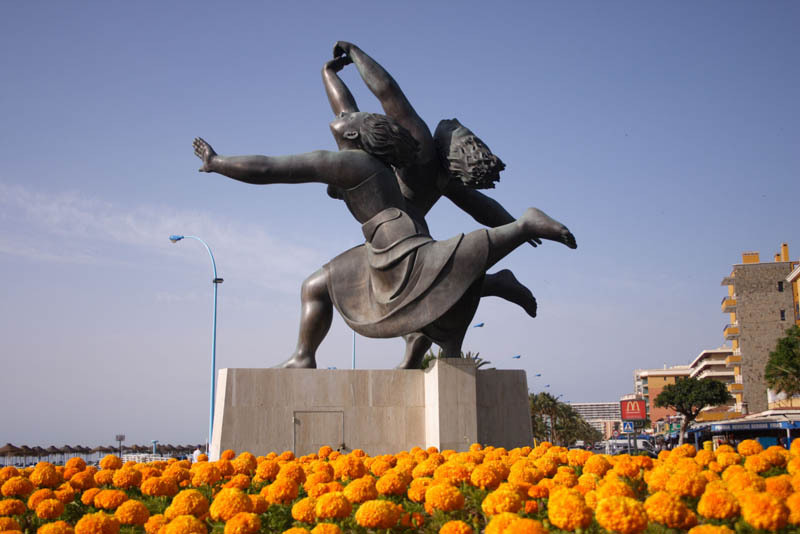 The tourism in Torremolinos began in the 1950's, although it became very popular during the 1960's, and what was once a small fisherman's village, turned into a tourist destination of great importance in the south of Spain. This town of the province of Malaga is still nowadays an important Costa del Sol destination with a wide variety of hotels for all budgets. 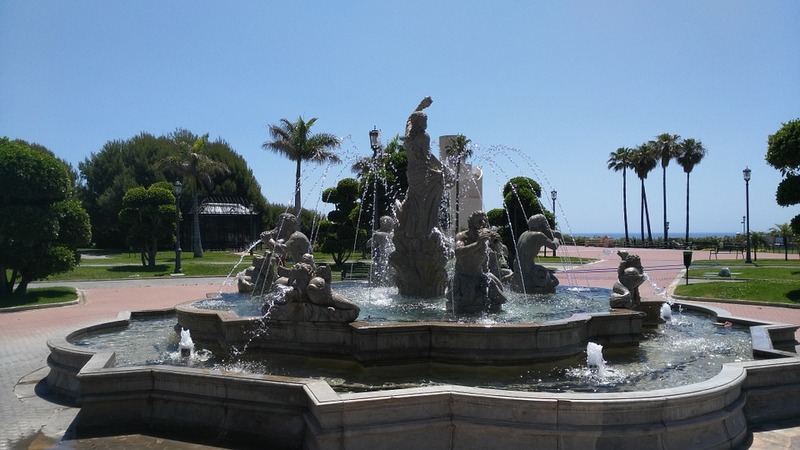 Generally the tourists that visit Torremolinos arrive by airplane, this is mostly due to its proximity to Malaga airport as its only 6 kms away from Torremolinos on the A-7 motorway and on the suburban train that connects the airport directly to the town. During the tourist season, different nationalities from all over the world gather together in Torremolinos looking for a bit of "fun under the sun". 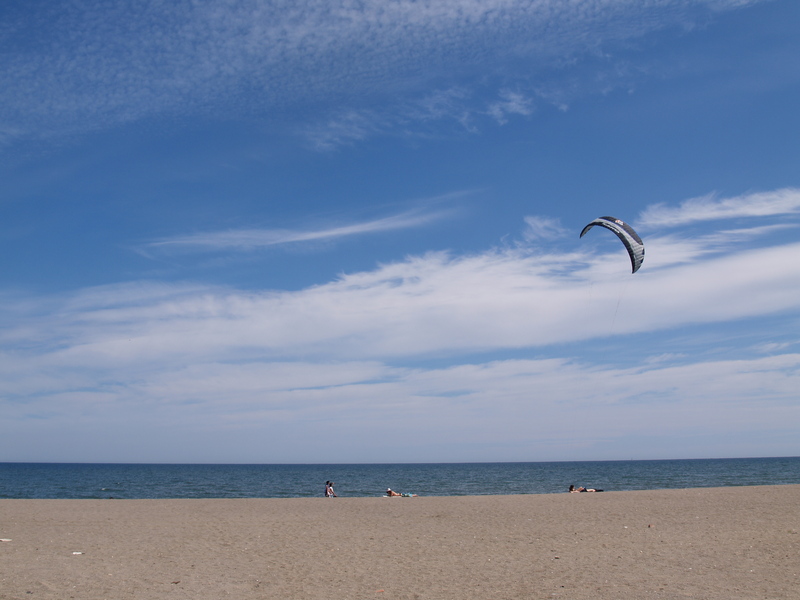 During the day, its 9 kms of beaches are full of people making the most of the summer sun. The temperatures often range from 30 to 40 degrees centigrade (from 85 to over 100 degrees Fahrenheit). Torremolinos is also packed with nightclubs and discos with the latest music and open till sunrise. There's no doubt about it: Torremolinos is a place to have fun, so if you're looking for a bit of peace and quiet to relax, I'd look somewhere else! , at least during the summer season. After the summer in peak season, Torremolinos becomes a quieter place. The travellers start to leave and the calm takes over for the winter. 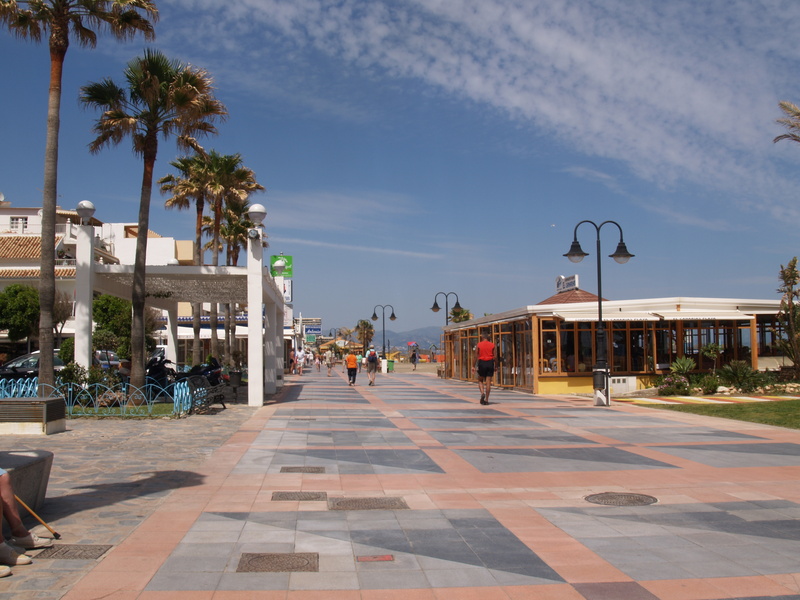 On Sundays, the promenade is full of Spanish families that go out to lunch and for a pleasant walk along the beach. The blend of sun, fun and money's worth is what makes the people return to Torremolinos year after year. Torremolinos is a strategically ideal town to spend our vacations all year round, its proximity to other tourist destinations like Benalmadena, Fuengirola or Malaga make Torremolinos the perfect place to stay. It's definitely worth seeing the San Miguel street, a small but beautiful street surrounded by small shops and cafes, and that gives you an idea of how Torremolinos was many years ago, a small fisherman's village. There aren't many museums or national museums, but the youngsters and families can enjoy a daytrip to the Torremolinos Aquapark. There is also a horse-riding school nearby that provides the equipment and offers experience and teaching, as well as horse rides in the countryside and mountains. Oh, and don't forget to visit Fuengirola. It's only a 15 minute drive away from Torremolinos towards the west and has the longest seafront in Spain with plenty of bars, restaurants, pubs, clubs, discos, etc. Along the whole Torremolinos coast we'll find several 'chiringuitos' (beach bars) where to try the famous fried fish of Malaga or the sardines 'on the spit' (locally known as 'Espetos') in such emblematic areas such as The Carihuela; or we can do a bit of shopping on the well-known San Miguel street, a small straight avenue full of small shops of all kinds and cafes. Due to the mild climate throughout the year, Torremolinos receives a steady stream of visitors also in the winter months. Many northern Europeans are escaping the cold months in their countries and spend a quiet winter here with temperatures between 10 and 17° C, empty beaches that invite for long walks and a leisurely pace that characterizes the inhabitants of the Costa del Sol. You will easily find apartments in Torremolinos for a very reasonable prices if you book in advance. Most of them with an excelent seaview. Perfect choice if you travel with family or friends. You won't want to go home any more. Looking forward to rent an apartment in Torremolinos? You cand find out more using this link of Torremolinos Apartments. Restaurants and bars in Torremolinos abound, as Torremolinos is a veteran among the resorts of the Costa del Sol, fully dedicated to offer its visitors everything they may wish for to spend a great vacation based on leisure. Regarding Bars in Torremolinos, you can find many nationalities such as Irish, British, Dutch and German, but we also recommend to approach a local bar and savor the delicious Tapas that accompany the drink. The night owls will find plenty of nightclubs where they can dance away until the wee hours. 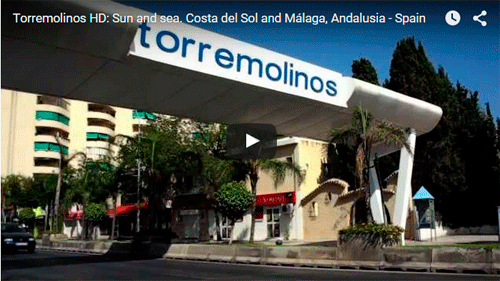 In a few words, and as you've probably picked up, Torremolinos is a place where to have fun. Torremolinos is not noted precisely for its monuments; but within minutes we can get to Malaga city with a huge cultural offer, museums, monuments, a charming old city, gastronomy and the feel of a of a mediterranean capital. 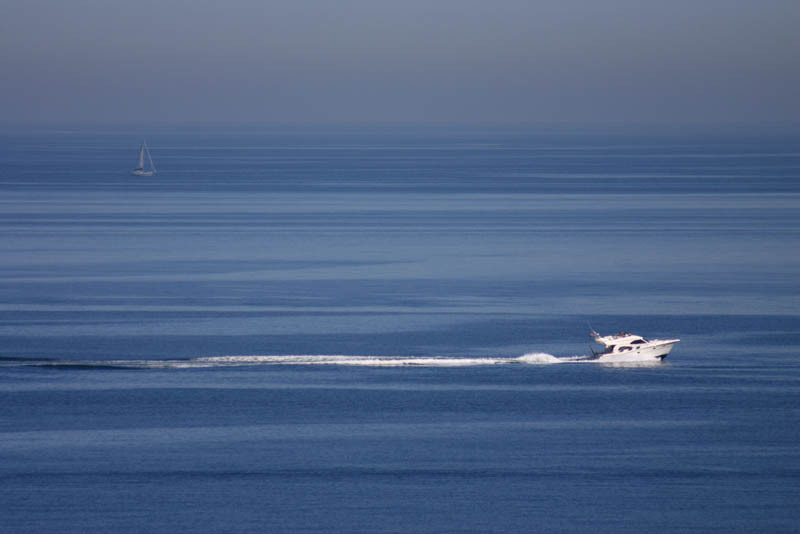 Also very near to Torremolinos are situated the popular resorts of Benalmadena, Fuengirola, Mijas and Marbella. Find out more about Torremolinos attractions, Torremolinos Nightlife and and how to get the most of it! Torremolinos Water Park Aqualand is located just 10 minutes from Torremolinos city centre and is one of the excellent attractions for spending a great day of water fun. This is the Costa del Sol´s best place for superb water slides, with rapids (or more like a rafting experience), the "Black Hole", the Boomerang, Crazy Race, Superslalom, the Kamikaze (the highest in Europe) will take your breath, Twister; Surf Beach (waves over a meter in height in a pool of 1440 square meters), tropical lagoon, Jacuzzi, aquatic playground, gardens, a varied gastronomical offer, 18-hole Minigolf and gift shop. And for house music fans who like to dance "wet", twice a year takes place in the wave pool at the Aquapark the SunCoastFestival with the best DJs. 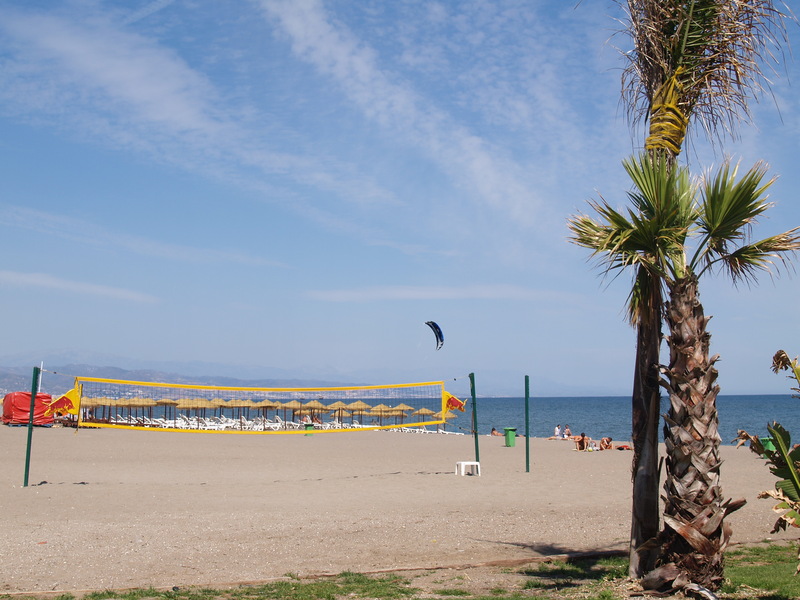 Many tourists enjoy Torremolinos beaches every summer, come to know more information about them. 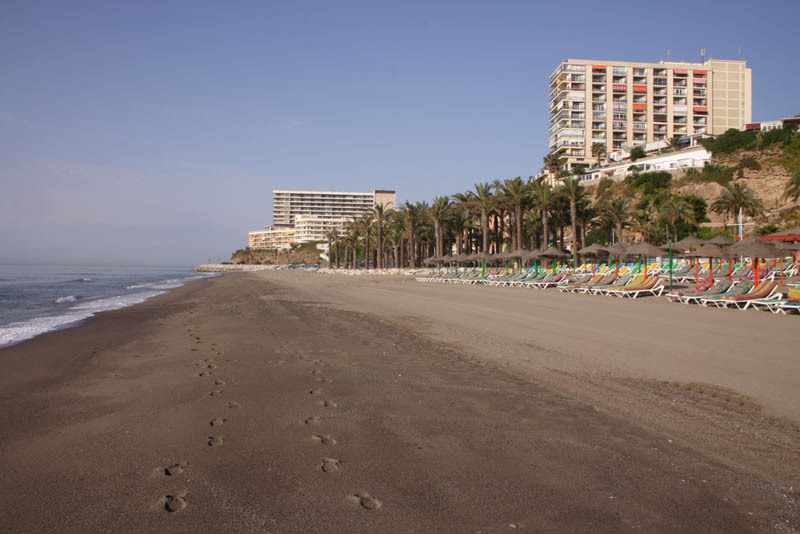 If you would like to take a look at Torremolinos beaches and weather, you can watch it from home using the following webcams in Torremolinos. Images are updated every 60 seconds. Torremolinos is the main destination for many tourists visiting Spain. Torremolinos is 7km to the west from Malaga airport, and there are many transportation methods from Malaga airport to Torremolinos. Taking a bus from Malaga airport to Torremolinos may not be the most convenient method of transportation if you have a lot of luggage; there are a few bus stops in Torremolinos, two of them at the center but the bus stop for Torremolinos is outside the airport, next to San Miguel factory. You can take a Taxi at Malaga airport to Torremolinos with an aproximate cost of 12€. There is a train station with trains from Malaga airport to the center of Torremolinos every 30 minutes. Its accesible by crossing the bridge out of the airport; not recommended for unabled people. Car rental at Malaga airport may be a nice and cheap option if you also plan to visit Malaga. Transfers from Malaga airport to Torremolinos is a fast and confortable way if you don´t need to rent a car. Continue reading in how to get to Torremolinos ,it could be of help if you are looking for the road route, and if you still have questions don´t hesitate in contacting us in the Malaga transportation forum. Pictures below are some of the images you can find in our Torremolinos Pictures gallery. In the vast majority of towns around Malaga there are several public transport methods to choose from: bus, train, taxi and even rent-a-cars available from the wide range of car hire companies in the cities and airport. Don't forget to bring the proper documentation: national ID card, driver licence, passport and credit card. These are necessary for several services such as checking into a room, renting a car or paying in various establishments.